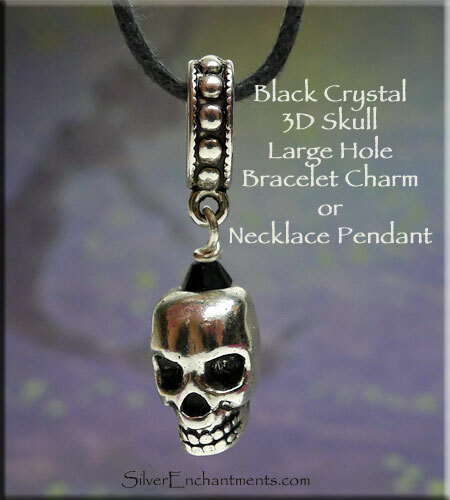 Features a Wrapped 3D Skull, Black Crystals and Granulated Large Hole Bail. When you see a skull, one should not rush to judgment or assume it represents a symbol of death. 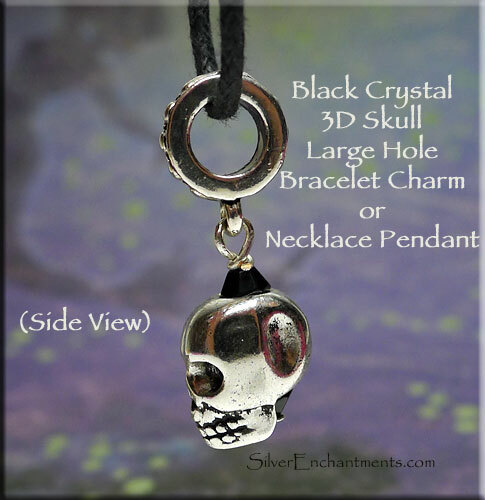 The symbolism of skulls to many include: protection, strength, power, fearlessness, wisdom and guidance, overcoming death, surviving through a difficult time, and/or even immortality. Overall Measures : 29mm (1.14") long x 8mm (0.31") wide. The bead-bail hole size is approximately 6mm, and it is compatible with all of the well-known brand-name add-a-bead style jewelry systems.